We are pleased to announce that the Maryland General Assembly passed legislation that will provide $500,000 to Pride of Baltimore, Inc. for the next five years, beginning in fiscal year 2019. The legislation passed unanimously in the Senate and by an overwhelming majority in the House. 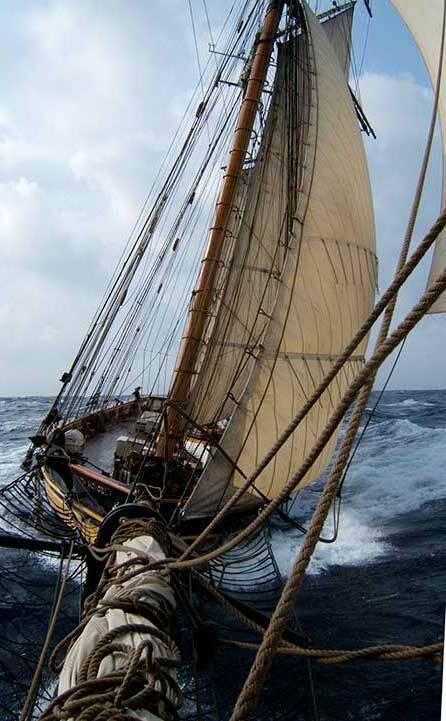 As many of our friends and supporters know, Pride has faced significant financial challenges over the years, given the expenses associated with maintaining a wood tall ship and supporting its operation and programs. On February 5, we announced that we needed to fill a significant funding gap, asking our friends, the general public, and the business community to show their support and donate. Since then, many people have come forward to offer support for Pride — through monetary contributions, by signing up to volunteer, or simply by sharing stories of Pride across their social networks. It is amazing how many people have a Pride story! The last several months have been challenging for Pride. We were not able to fill the $200,000+ funding gap that we needed to keep the organization and the ship running at full capacity this year. For this reason, we had to lay off most of our staff and crew. The ship is in fine shape, though. Pride II underwent maintenance through mid-February — regular winter maintenance and some 30-year refit projects. The ship is still docked at her maintenance berth under her winter cover, now being watched by Captain Miles and a few volunteers, where she will most likely remain for this season. We are extremely grateful for the critically important funding from the State, and we must continue to raise funds from individuals, businesses, grants, and other sources to meet our $1.2 million annual budget (for “normal” operations). We are looking forward to a full sailing season in 2019, but, in the meantime, we are focusing on developing strategies to ensure the sustainability of Pride going forward. 1. Please support Pride by making a donation. If you are already a donor, please consider making an additional donation. Think about joining our Privateer Society as a monthly donor, if you are not already a sustaining donor. 2. Share your Pride stories with the world via your social networks! Let people know what Pride means to you and why you think Pride is valuable. Please be sure to mention or tag Pride of Baltimore @prideofbalt. 3. Subscribe to Sail Mail, our e-news, so that you receive updates right in your inbox. We understand that you may have questions regarding this news, so we have prepared some Q & A to answer them. Click here to download the Q & A. Thank you in advance for your support of Pride. Did you know that this year is the 30th anniversary of her launch? We are hopeful that, together, we can keep our Pride sailing for another thirty years!